Renovated from an old parking garage and in an infill condition, this 9 story mixed use office building houses four levels of offices, retail space at street level and parking space, both underground and aboveground. Out of all these spaces however, the design team believed that the congregational space should be the most celebratory and should be located around the atrium where daylighting can infiltrate these spaces as much as possible. 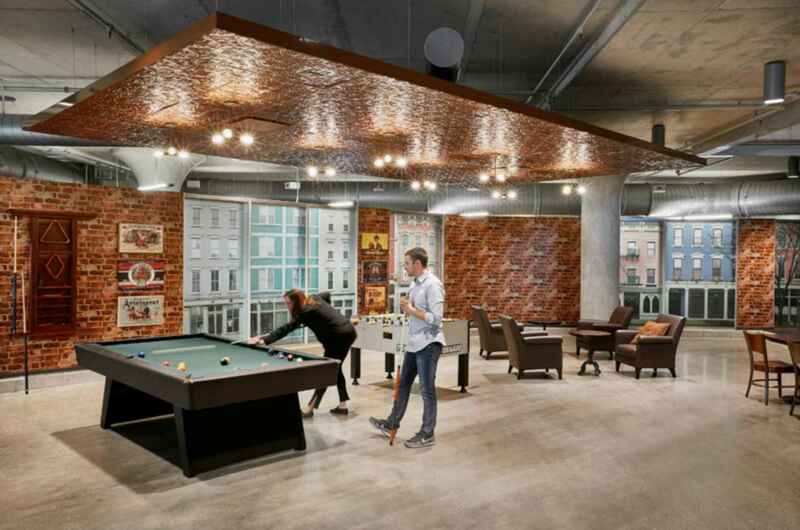 The materials stayed true to the city's industrial roots, as well as what was existing on site such as concrete, steel, oak, and also celebrating Cincinnati's brewing history by using the pressed-tin ceiling tile in their lounge.